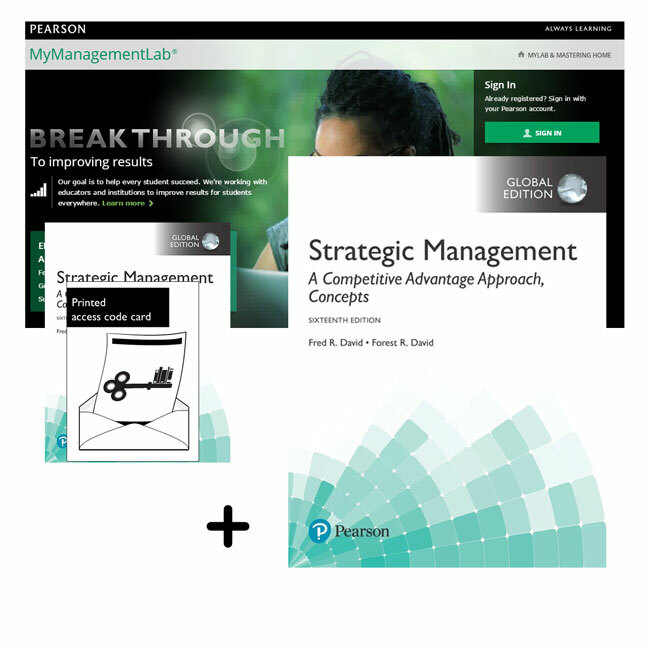 This pack contains 1 copy of Strategic Management: A Competitive Advantage Approach, Concepts Global Edition + 1 printed access card to MyManagementLab with eText. In today’s economy, gaining and sustaining a competitive advantage is harder than ever. Strategic Management captures the complexity of the current business environment and delivers the latest skills and concepts with unrivalled clarity, helping students develop their own cutting-edge strategy through skill-developing exercises. The Sixteenth Edition has been thoroughly updated and revised with current research and concepts, and added exercises and review questions. The duration of access to MyManagementLab is set by your instructor for your specific unit of study.